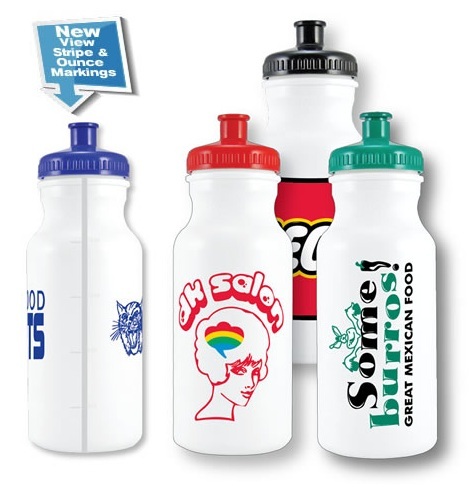 We offer many different sizes and styles of plastic water bottles, from 20 ounce up to 32 ounce. Many top options are available too: push pull lids, straw tip lids, flip top lids. 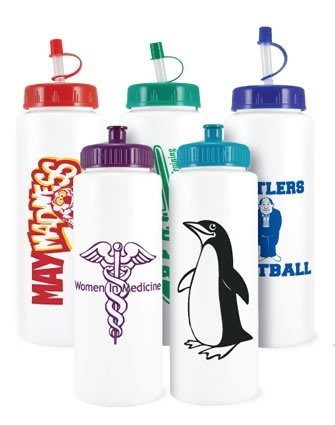 Advertise your business on promotional drinkware that is used time and again. Please contact us for Canadian pricing. Straw Tip Lid Assembly: $0.14 ea. PMS matches are available for an additional Custom Imprint Color Charge. Please contact us for pricing. 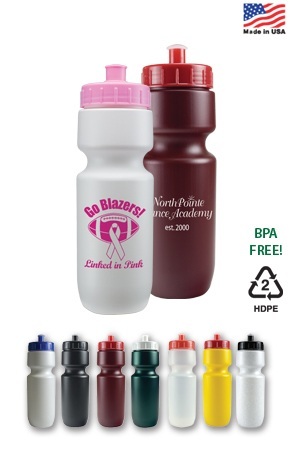 Cycling water bottles are available in white BPA Free plastic with your choice of push/pull lid color. 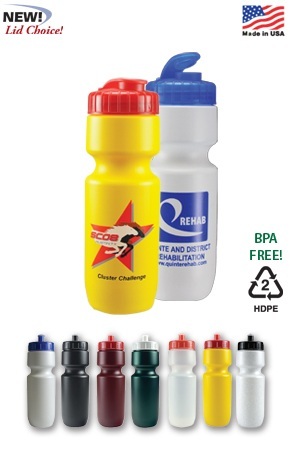 Larger 32 oz Cycling Bottles are now available with a Push-Pull Cap (standard) or optional Cap with Straw. 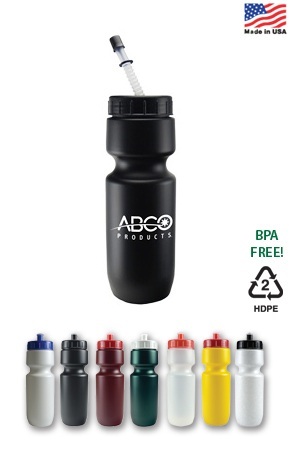 Our 32 oz Cycling Bottle with your custom imprint is convenient for those on-the-go all day. Push/Pull Lid Colors: Blue, Green, Red, Purple, Teal, White, Orange and Black. Push-Pull Cap is standard on 32 oz Cycling Bottle. 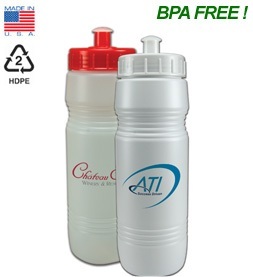 Cap with Straw option is available on 32 oz bottle size only. Please keep in mind that these color swatches are Pantone (R) colors created with web color! 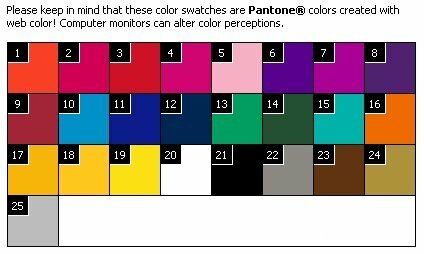 Computer monitors can alter color perceptions.